See what I mean? This is funny looking, but that’s what they look like! On a positive note, the .svg is FREE! 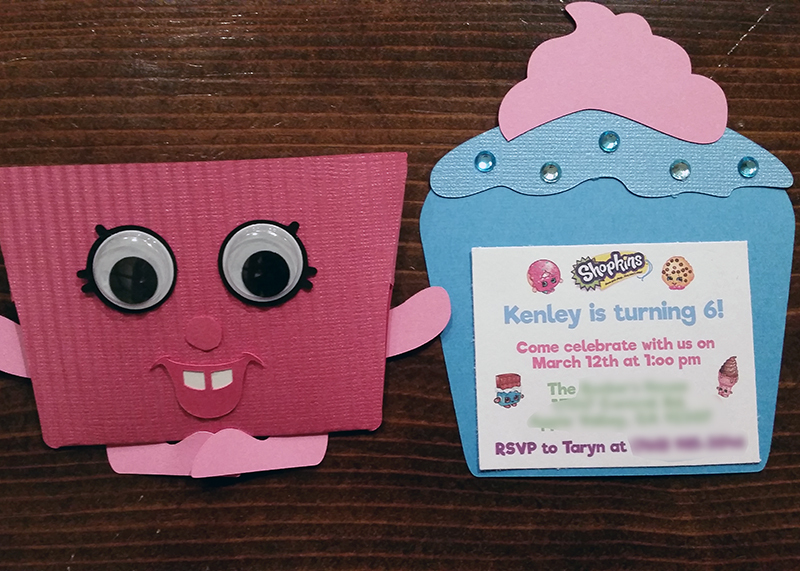 Download the Shopkins Cupcake SVG File HERE! 3) Cut all your pieces! 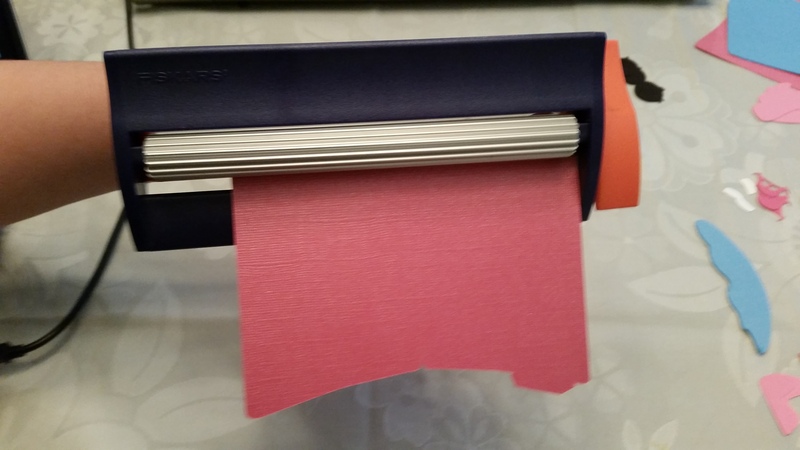 4) Run the pink paper through the crimper. Make sure the top part of the paper with the flaps is straight and against the wall of the crimper so the lines will be straight. 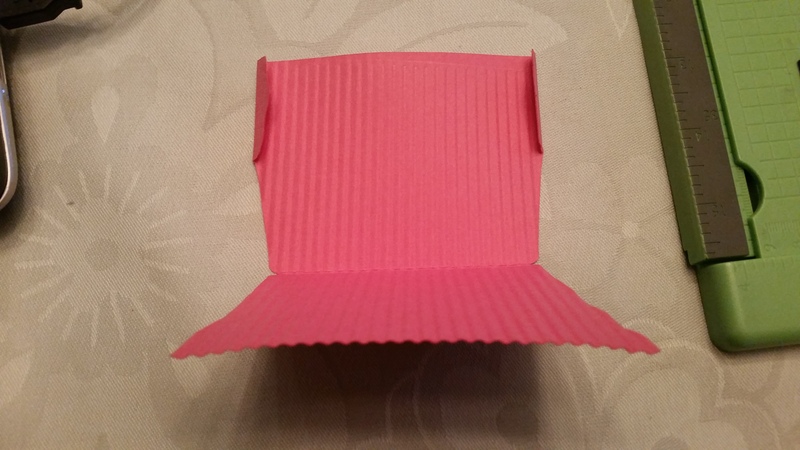 This is the back of the cupcake so that little edge that won’t be crimped will not matter. Practice the crimper on other paper first to get the hang of it. It isn’t difficult but it take a time or two to get it down right. When running it through squeeze tight and twist it back and forth so the crimps are more defined. 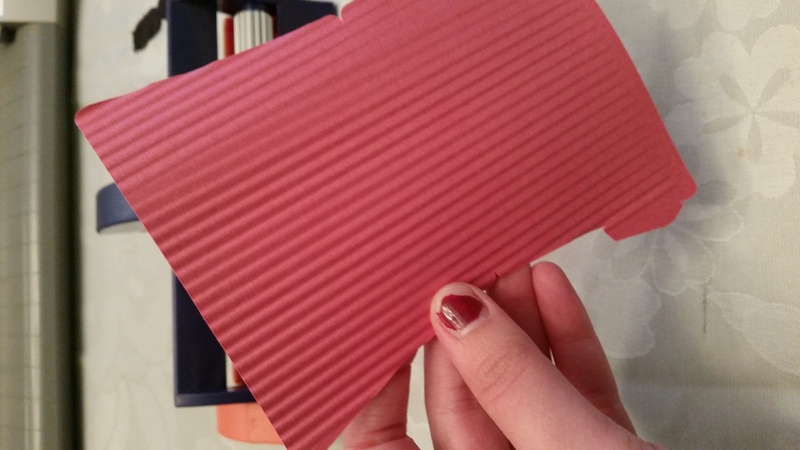 5) Score the middle of the paper where the indents are and fold. Also fold the flaps in. 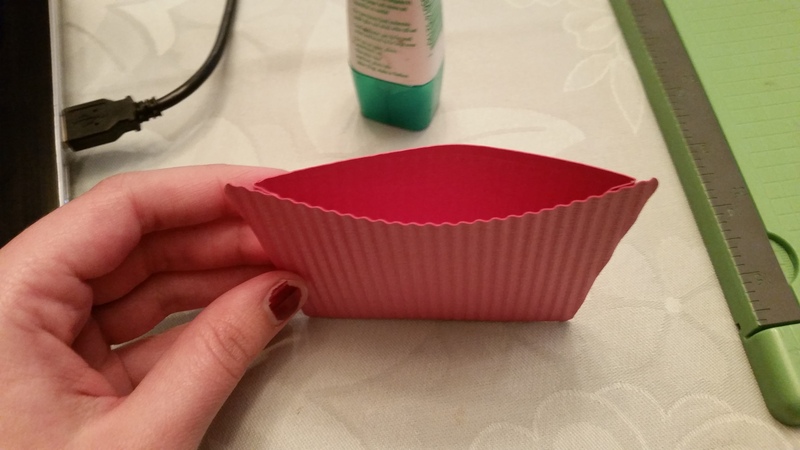 Make sure they are not folded in too much, otherwise the cupcake won’t fit in it right. Put glue ontop of the flaps and press is to the other side of the wrapper to create a little pocket. 6) Glue on eyelashes. Then glue arms that go all across the back. The feet look like boots. 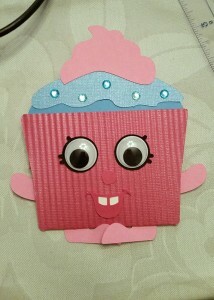 Glue the top of the boot to the back, but bring the toes over the front of the cupcake. Glue on the white piece on the back side of the mouth, then glue that to the wrapper. Glue on googly eyes. 7) Decorate your cupcake. Glue on the frosting then the dollop. Add your sprinkles then glue on the text. Make sure to glue the text towards the very bottom of the cupcake so it doesn’t poke through when it is in the wrapper. You are currently browsing the Grealish Greetings blog archives for February, 2016.